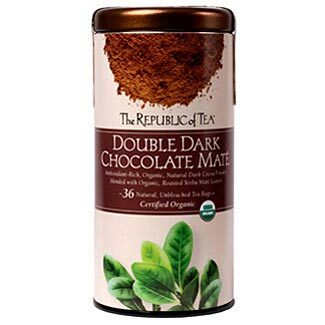 Dynamic Duo - It's a match made in heaven: antioxidant-rich, organic, roasted Yerba Maté blended with organic dark cocoa powder in a guilt-free, full-bodied dessert tea. Dark Chocolate also brims with antioxidants, plus polyphenols - compounds known to lower blood pressure. All with less than 5 calories per cup.